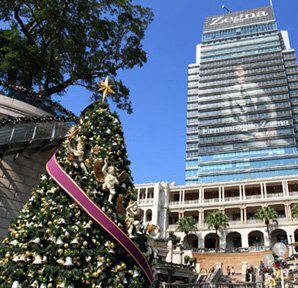 Hong Kong has one of the world&apos;s most festive Christmases. 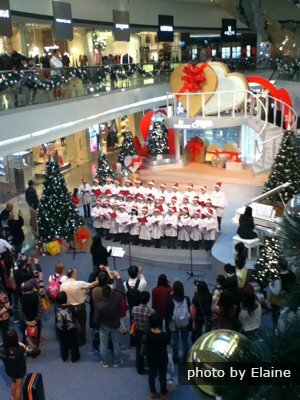 Hong Kong people will celebrate Christmas perhaps the most grandly in all of East Asia. 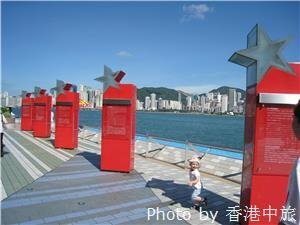 There is a two-day public holiday, and people usually enjoy dry, mild, and even sunny weather for Christmas. It is a good time during tourist low season and mild weather to see the world&apos;s favorite tourist city (28 million visitors annually). 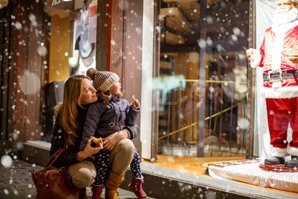 See the fantastic Christmas displays, enjoy fine food, and shop for Christmas. It&apos;s often sunny too! Here are details on major events. Disneyland – Christmas-themed amusement and entertainment will start in November and continue to New Year&apos;s Day. The Hong Kong Ballet – the Nutcracker is a delight for those who enjoy fine opera and ballet. The Hong Kong Philharmonic – selections of classic Christmas pieces. WinterFest – a variety of specials, promotions, Christmas displays, and events. For the Hong Kong Symphony of Lights – the buildings will feature Christmas light decorations. The International Light Art Display on the Central Habourfront will be a light art exhibit free for the public. Major displays will be in the big malls and the important city squares. Churches and Christians take Christmas seriously with big religious events, carol singing, and special performances. Gourmet Christmas dinners will be hosted by posh hotels and top gourmet restaurants. The American CNN television network named the Hong Kong WinterFest as one of the Top 10 places to spend Christmas in the whole world. 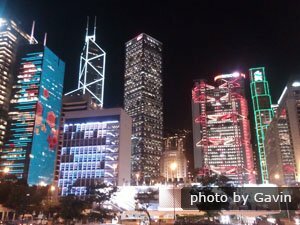 You will see the Christmas lights on dozens of buildings along Victoria Harbour choreographed in a light show with Christmas and New Year&apos;s decorations. During WinterFest, most of the the city is aglow with festive lighting and laser imagery. Victoria Harbour will be a dazzling sight especially when the fireworks burst in the light show on New Year&apos;s Eve night to mark the beginning of a new decade! The Nutcracker is a world-renowned operatic ballet and a special Yuletide tradition enjoyed by audiences of all ages. It is set to a score by the famed composer Tchaikovsky. The tale begins when a young girl named Clara receives a Nutcracker as a Christmas gift. The Hong Kong Ballet will feature sumptuous sets and costumes and live music by the Hong Kong Sinfonietta. There will be jazzy 21st century choreography inspired by Terence Kohler. Place: Grand Theatre in the Hong Kong Cultural Centre next to the Star Ferry Terminal in Tsim Sha Tsui in Kowloon. Times: Was on...December 14–16, 19–23, and 25–26, 2018 at 7:30 pm; and December 15–16, 22–23, and 25–26 at 2:30 pm in 2018. The Hong Kong Philharmonic will present a special A Harry Little Christmas with Harry Wong. The Hong Kong Philharmonic orchestra is a professional orchestra sponsored by the HK government. Times: Was on...December 23 at 3 pm and 8 pm in 2018. Tickets: HKD $480, $380, $280, $180 (2018). As part of the WinterFest, this high tech laser audiovisual display will dazzle the crowds in and around the plaza of the clock tower near the Star Ferry in Tsim Sha Tsui. Every night in December, you can head to Victoria Harbour and watch the free holiday light show of the Symphony of Lights. For Christmas, the entire show has been revamped and modernized. Many more lasers and LED screens make a bigger spectacle than ever before. The best light show view is along the Avenue of Stars promenade where you can see the 3-D Pulse show too when it is running and hear the narrative and music from the Hong Kong Philharmonic. You can also watch while having a meal on a restaurant boat or while simply riding the Star Ferry during the Symphony of Lights display. Loudspeakers broadcast music and accompanying narrative. In December, a lot of buildings will display their own special Christmas light effects to complement the architectural choreography show. Hong Kongers like to celebrate both the Western New Year and the Chinese New Year in a big way, so if you&apos;re there near midnight on December 31, 2019, you&apos;ll see the fireworks spectacular in the New Year&apos;s countdown. Some of the same buildings involved in the Symphony of Lights will take part in this spectacle. On Dec. 31, 2018, a large crowd of about 36,000 people lined both sides of the harbor to watch. Read more about the New Year Fireworks and Countdown for 2020! This is a new feature of WinterFest. It is a government sponsored luminescent art exhibit of lighted artworks of artists from many countries. 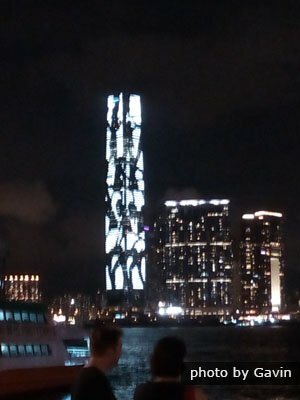 It will be on the Central Harbourfront and free to see. Illumination hours: Was on...5pm to 11pm (7:45pm on November 29) in 2018. 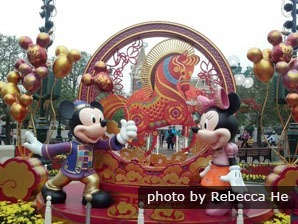 Hong Kong Disneyland&apos;s "A Disney Christmas"
Disneyland will present amusement and entertainment starting November to New Year&apos;s Day. In 2018, as dusk fell, the theme park featured “A Magical Twilight Snowfall” and the signature “A Holiday Wish-Come-True” Tree Lighting Ceremony. New in the park was a kiddies market called "Fantasy Gardens Wintertime Market" for buying gifts and treats. Noah&apos;s Ark is an ideal place to take children for Christmas. It is innately child friendly, with traditional and novel Christmas activities. Nativity Scene performances will be staged along with sports training weekends. For young girls, the park has featured "Bear&apos;s Sushi Production Class" to learn creative dishes; and for boys, the park&apos;s sports/obstacle course arena featured "Trolltech Sports Training School." Excellent Christmas-themed family buffets will be hosted in their beautiful grand dining room at the bow of the Ark. The setting is memorable as it overlooks the channel. Enjoying the beach are other things to do to complete a fun day. The Ark building including a hotel, museum and dining facilities is a replica of Noah&apos;s Ark. It is on a good public beach with facilities. Ocean Park will officially kick off the Ocean Park Christmas celebration. The entire park will be decked out with festive decorations such as a giant Christmas tree, artificial snow, and Santa&apos;s Cottage. The park features Hong Kong&apos;s only virtual reality (VR) roller coaster. The Christmas Market will transform Waterfront Plaza into a Christmas Village for food and gifts. Big displays and graphics at the 1881 Heritage. 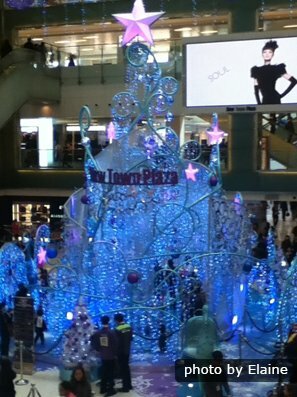 Every shopping mall dons Christmas decorations, and the ritziest malls put up spectacular and expensive displays. 1881 Heritage near the Star Ferry Terminal, Harbour City, Langham Place, Elements Mall and the IFC Mall will put up dazzling, intricate and large displays. 1881 Heritage: The ritzy hotel on Victoria Harbour will build grand themed decorations in its front plaza. Statue Square Christmas display: Every year, the best display is hosted at Statue Square by the Hong Kong Tourism Board. These will be epic displays put up by big jewelry companies such as BVLGARI. The Bank of China Tower skyscraper is a shiny crystal-like mirror backdrop. Dates: Was on...November 29, 2018 to January 1, 2019 in 2018 – 2019. Lighted hours: Was on...5pm to 11pm (7:45pm on November 29) in 2018. Transport: MTR Central Station Exit K opens next to Statue Square. Along with these big public events, churches, millions of local people, and many businesses, restaurants, and hotels will celebrate Christmas as well. Many of the excellent restaurants and hotels will have Christmas celebrations and special dinners that the locals attend. In the days before Christmas and on Christmas Eve, groups of carolers from churches and schools will walk and sing in the parks and malls. You might spot groups of children, teenagers, and adults walking in Central, Kowloon Park and elsewhere joyfully singing. Music groups and orchestras will put on free concerts. Many churches will put on special Christmas-related programs about Jesus&apos; birth. 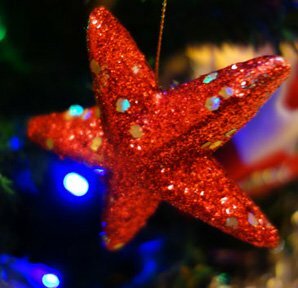 Churches and many Christians take Christmas seriously with big religious events, carol singing, and special performances. See the Top 5 English Speaking Churches in Hong Kong. Christmas shopping in Hong Kong has everything but the snow. Unfortunately, there aren&apos;t pre-Christmas sales with lower prices to attract shoppers. Instead, during the Christmas to Chinese New Year winter shopping season, prices will actually go up. However, the malls will try to to attract customers through special Christmas displays and entertainment. 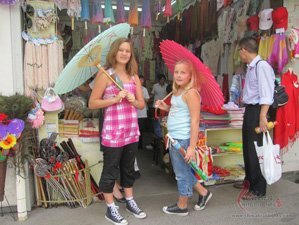 Christmas gifts of electronics, clothing, and other common items might be bought at the street markets such as Ladies Market in Mongkok (clothing, electronics, souvenirs, pets, jewelry, etc.). Temple Street near the harbor is where you&apos;ll find a variety of products for tourists plus many open-air restaurants for Chinese food. See Christmas Shopping in Hong Kong in 2018. The IFC&apos;s Lung King Heen is the best for Cantonese cuisine in Hong Kong. The ethereal dining room is ideal for watching the light show all around the harbor. Hong Kong is a culinary capital. 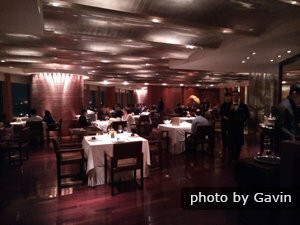 It is known for having more excellent restaurants than any other similarly-sized location in Asia (as ranked by Michelin and other such ratings bodies). Many of the world-class 4-star and 5-star hotels in Hong Kong will serve special Christmas dinners from about the 22nd of December until Christmas Day. Hong Kong garnered 63 Michelin-starred restaurants in 2019, and many are quite affordable for the average tourist although they might not have special Christmas fare. Check our list of recommended restaurants in 2019. See The Best 18 Hong Kong Restaurants — Something for Everyone in 2019. For a more Christian atmosphere for your Christmas celebration, a place to go is the Salisbury YMCA with a grand view of the Victoria waterfront. Within, two restaurants serve buffets. Several churches meet there on Sundays, and there is a Christian bookstore for gifts. 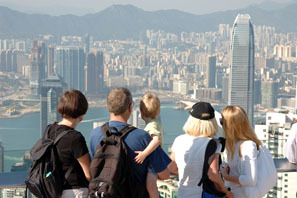 Hong Kong is the world&apos;s most popular tourist city. It is far ahead of London in terms of visitors and gets 10 million more visitors a year. The last half of December is an excellent time for touring Hong Kong. The busy crowds of Chinese tourists won&apos;t arrive until Chinese New Year in January of 2020, and foreigners who visit during their Christmas and New Year holidays can enjoy the Christmas/WinterFest festivals and events in fairly mild sunny weather in December. 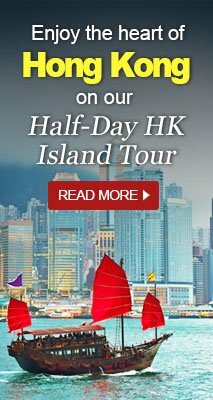 For your Christmas holidays, we can arrange a fine Hong Kong tour for you and help you tour the Mainland as well. Imperial and Scenic China Family Tour — During the Christmas season, you and your family will be amazed at top family destinations: Beijing, Guilin, and Hong Kong. See more Hong Kong tour packages. 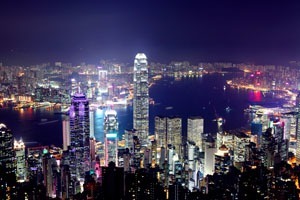 Or let us help you plan a tailor-made Hong Kong tour. You can easily send Christmas cards to your family or friends (from China). China Highlights has designed some exquisite Christmas e-cards.